Jessica Arb Danial G’16 knows a thing or two about corporate responsibility. 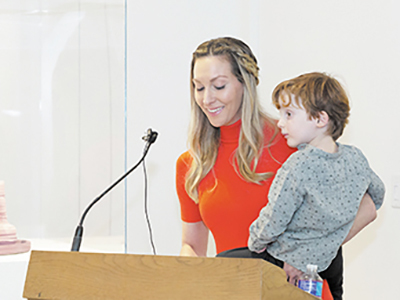 Shortly after graduating from the College of Arts and Sciences (A&S), the Skaneateles native took over the Everson Museum of Art’s fundraising campaign. Today, the museum has reached more than two-thirds of its $17 million goal—success she attributes to her liberal arts training in the Department of Art and Music Histories (AMH). 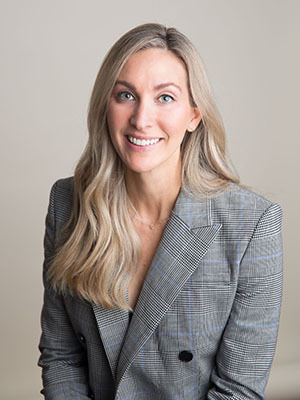 A&S recently caught up with the mother of two, who also is an art collector and a philanthropist, to talk about museum activism and social responsibility. Why do we need good arts leaders? Part of the Everson’s mission is to contribute toward a more vital, inclusive society, an exciting effort alongside a historic period of broader investments and revitalization in downtown Syracuse. We foster a safe urban core through increased pedestrian activity, while broadening interest in downtown living. We effect positive change through targeted community partnerships, educational activities and social programs. They include our Teen Art Council, as well as free or reduced admission days. We also have increased the number and types of classes we offer; expanded our summer youth camps; provided hands-on activities for school tours; and added social events, such as First Fridays [an evening of art, music and art-making]. How have you put your AMH training to work? I am thrilled to be part of “The Everson. First and Forever,” the most historic and ambitious fundraising campaign in the museum’s history. I also am keenly aware of the Everson’s immense cultural and educational potential for Syracuse. I have learned that by establishing a strong fiscal foundation, we can better connect with the community, promote demographic and artistic diversity, and inspire curiosity and lifelong learning. Gender equality is alive and well at the Everson. It is. I work closely with President and CEO Elizabeth Dunbar—the first time that two women have been at the helm of the museum. Philanthropy also is important to you, as evidenced by the newly renovated and newly named Danial Family Education Center, which opened in January. I believe strongly in the Everson—its mission and the arts being part of every child’s education and life. As a family, we subscribe to the belief that the arts provide the foundation for lifelong learning, creativity and critical thinking. By investing in the Everson and its new education center, we are investing in the future of our community’s children. I especially want to instill a sense of community and civic pride in my two boys. If you could meet any artist, dead or alive, who would it be? I would love to meet Frida Kahlo. Some may think we have romanticized her pain, both in tragic love affairs and physical trauma, but I have such admiration for how she transformed her suffering into hope and beauty. She is truly an inspiration. I would relish the opportunity to hear her side of her tragedies, art and loves. She’s timeless. I try to collect work by young, emerging artists. As I’ve begun collecting art more seriously, my personal mission statement has helped me focus on new acquisitions.